This single verse has been said to be the summary of the entire law. The LORD does not want his people to be offering meaningless sacrifices that will not please him. Rather, he desires hearts of his people to change. He wants them to change their ways and actions. What is it that the LORD requires of them then? He already told them in Deuteronomy, but they never lived it out. The LORD requires that his people love him above all things. He desires that they walk in his ways and serve him as their God with every part of their being. He wants obedient people. Here’s some helpful commentary and application from Warren Wiersbe on this verse for all of us. 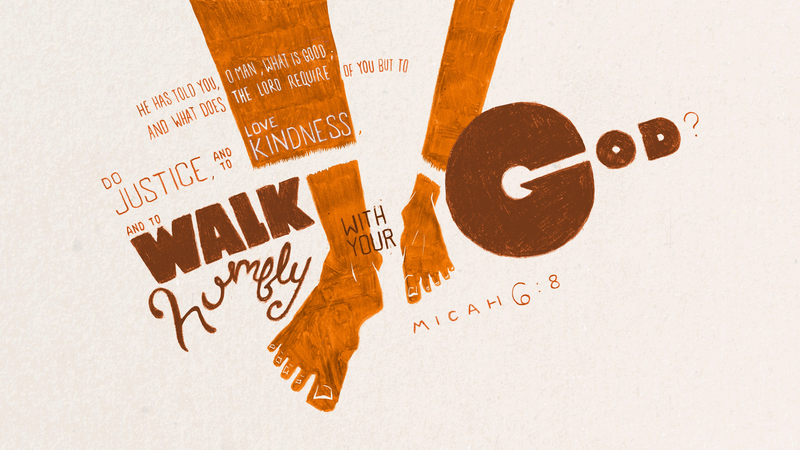 The prophet spoke to the people (Micah 6:8) and told them exactly what the Lord wanted each of them to do. It was a personal matter that each individual sinner had to consider. His reply emphasized moral and ethical conduct, not religious ceremonies. Of course, we can’t “do justly” unless we’ve been justified by faith and are right with God (Ps. 32:1–2; Rom. 4:1–8). And how can we “love mercy” if we’ve not personally experienced God’s mercy? (Eph. 2:4; Titus 3:5). If we want to “walk humbly with [our] God,” we must first bow humbly before Him, confess our sins, and claim His promise of forgiveness (Luke 14:11; James 4:10). Our Lord’s parable about the Pharisee and publican in the temple (Luke 18:9–14) illustrates all three points. The publican was justified by faith, not by doing the kind of good works that the Pharisee boasted about. Since the publican depended on God’s mercy to save him, he humbled himself before the Lord. The Pharisee, on the other hand, informed God (and whoever was listening in the temple) how good he was and therefore how much he deserved eternal life. To make Micah 6:8 a salvation text is to misunderstand what the prophet was saying to God’s disobedient covenant people. None of us can do what God requires until first we come to God as broken sinners who need to be saved. Unsaved people who think they are doing justly, loving mercy, and walking humbly with God are only fooling themselves, no matter how moral their lives may be. “Not by works righteousness which we have done, but according to His mercy He saved us” (Titus 3:5). The people to whom Micah ministered simply didn’t get the point of his messages. The very fact that they were so guilty before God should have motivated them to turn from their shallow religion, humble themselves, and seek God’s mercy. The only people God can save are lost people; the only people God can forgive are guilty people. If we see ourselves as God sees us, then we can by faith become what He wants us to become. Wiersbe, W. W. (1996). Be concerned (pp. 110–111). Colorado Springs, CO: Chariot Victor. Nicely put! Simply going to church and reading the bible misses the true call toward love.